Temidayo Abudu, daughter to media mogul and Ebony Life TV boss, Mo Abudu is officially off the market. The producer announced on Thursday August 2, 2018 that she is engaged to the love of her life. 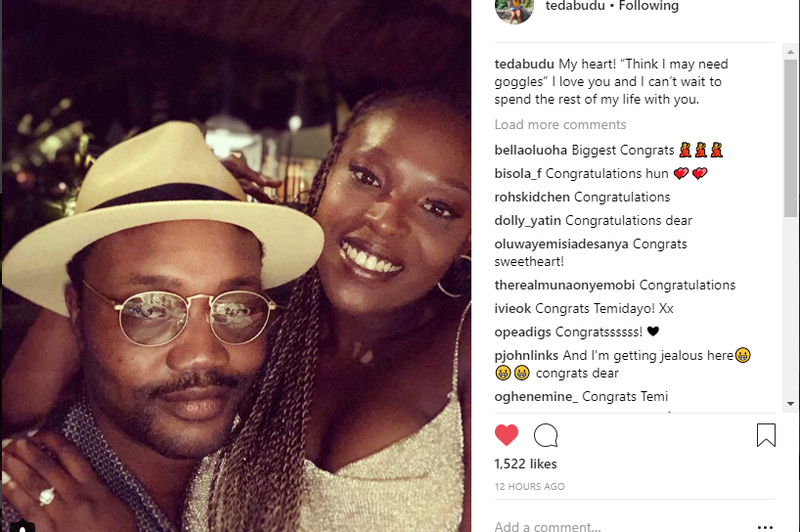 Ted is excited and ready to spend the rest of her life with her partner, whose name was simply given as Debola. Debola celebrated his birthday yesterday and he proposed at the birthday getaway. She took to her Instagram to share photos of her engagement and adorable photo of her husband to be. Her proud mother also shared the happy news on Instagram. Ted is a London graduate of Management and Marketing. She is also a producer with EbonyLife Tv who worked on a Tv reality show entitled: On The Real.